Solo piano albums require real skills from the improvising artist to keep the listeners' ears glued to the music. The musical history of solo piano recordings is long and rich, and contains much emotionally compelling music. The demonstration is here. 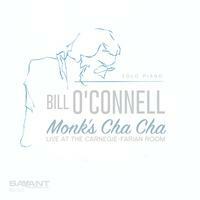 Bill O’Connell is woefully under-recorded as a solo artist, given that he has been the first-call pianist for names like Mongo Santamaria, Sonny Rollins, Gato Barbieri and Jerry González’s Fort Apache Band, to name but a few. Recorded in a beautiful-sounding concert venue in Westchester county, NY he plays his own compositions with some covers of the standards "The Song is You", "It Could Happen to You" and "Afro Blue". O’Connell’s playing is very satisfying, not ostentatious or prone to dramatic effects, but is focused on careful development and further expansion of initial ideas. Imaginative in spirit, his improvisations are quite controlled, never wild, never cloyingly sweet, yet very lyrical and impressionistic. A rare and winning combination.